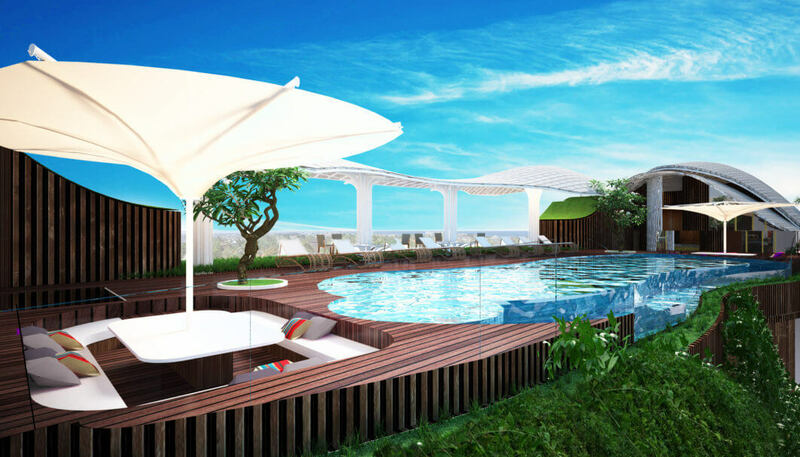 Situated in a semi urban area of Seminyak, Bali, this development has been maximized to include forty five generous apartment units, with shared reception, parking, rooftop swimming pool and gym, aswell as an attractive café servicing both the residents and passers-by. 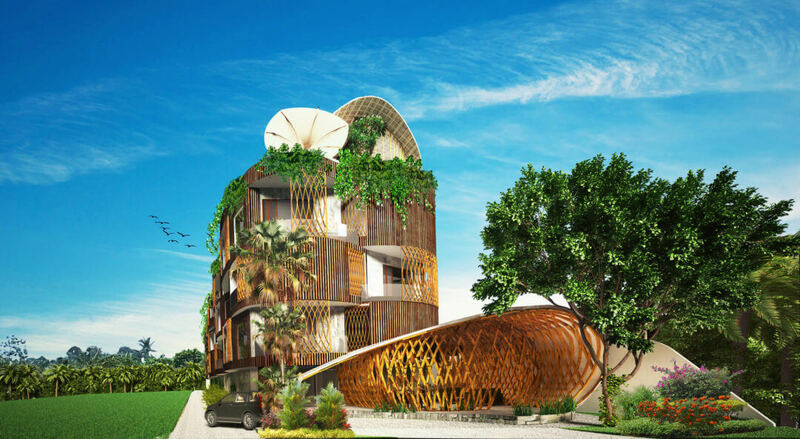 With this high density of units, the development is naturally forming a large mass. 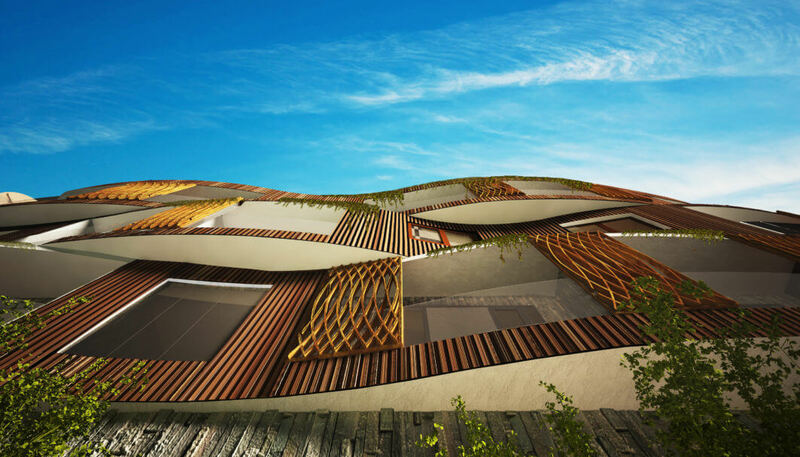 Therefore to minimize the impact of this aspect, the design breaks down the complex into three blocks with undulating facades. Circulation space is light, open and naturally ventilated. 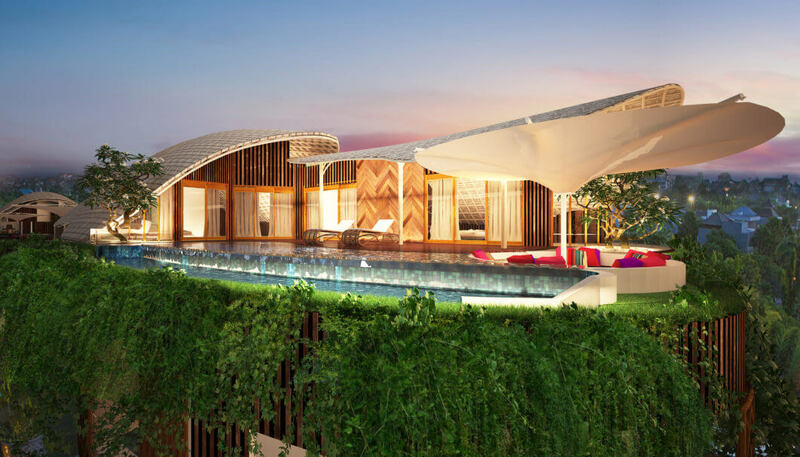 The aesthetic is calming using composite timber panels, organic lines, and plenty of greenery which aides with cooling and biodiversity. The structural frame is designed to hold a series of modular aerated floor and wall panels, which keeps the building light weight, well insulated and requires half the construction time of a regular build, therefore making large cost reductions. 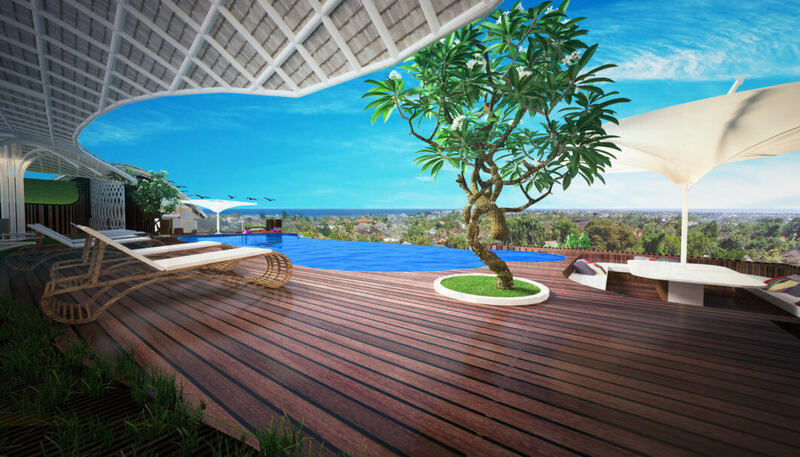 The top of the building has two sensual 3 bedroom penthouse units that use a bamboo frame and provide views across the whole of Bali.